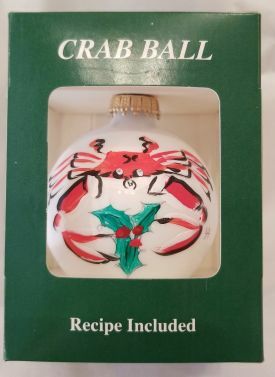 Festive Maryland ornament that is perfect to hang on the tree this holiday season. Bonus recipe included! Hand crafted holiday ornament by artist Linda Amtmann. Includes Linda's Crab Ball recipe on the back. Made in the Maryland.